What is a Bachelor of Science in mechanical engineering? This program is tailored to students who want to pursue a professional career in industry or advanced studies in engineering. Students develop abilities in design, analysis and experimentation through a foundation of math, physics, chemistry and computer science, before moving to more advanced engineering topics that include mechanical design, control systems and energy generation/conversion. This program also gives students the chance to focus on advanced technical areas of their choice. As professionals in the field, our graduates solve a wide range of interdisciplinary engineering problems and societal grand challenges. 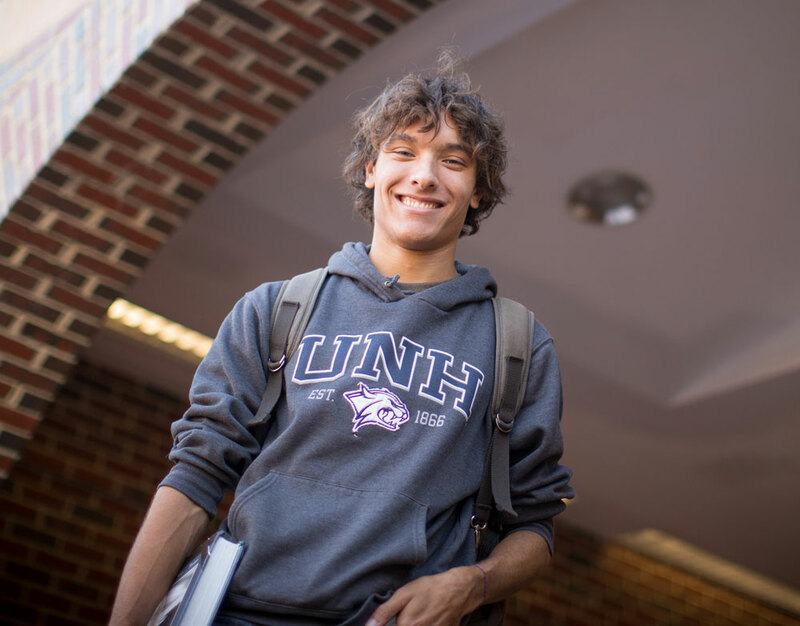 Why study mechanical engineering at UNH? You’ll analyze, design, build, test and maintain the tools and products of our growing technological society, working in state-of-the-art laboratories such as the John Olson Advanced Manufacturing Center, the Jere A. Chase Ocean Engineering Lab and the Flow Physics Facility, which houses the longest wind tunnel of its type in the world. Our faculty are leading researchers in their fields, and they care deeply about your education. The curriculum is challenging but flexible, providing opportunities for you to participate in research, internships, co-ops and capstone projects that will prepare you for a variety of in-demand careers. After making it through UNH’s grueling engineering program with flying colors, Michael Locke ’18 has entered the whiz-bang real world of advanced manufacturing. The B.S.M.E. curriculum provides students with a solid engineering core and prepares students for professional engineering careers or for graduate study. The department has a four-course mechanics sequence, a four-course thermal/fluid sciences sequence, and a two-course systems and controls sequence. Modern experimental methods are taught in a two-course sequence starting in the junior year. The two-semester senior design project requires students to utilize the skills they have learned in their courses and function in an engineering team. The five technical electives required in the program give the students the opportunity to focus on advanced technical areas of their choice. With their advisers' assistance, students should plan a program based on the following distribution of courses that totals not less than 128 credits. Note: mechanical engineering graduates typically exceed this requirement depending on what elective courses they select in the curriculum. The degree plan outlined below is typical only in format. Within the constraints of satisfying all the requirements and having all the necessary prerequisites, schedules may vary because of scheduling needs or student preference. Curriculum flexibility allows students to pursue a co-op experience or a minor, if interested which will potentially delay graduation. Some mechanical engineering elective courses may not be offered every year. ME 441 Introduction to Engineering Design and Solid Modeling satisfies the Discovery Inquiry requirement. Note: ME 477 does not satisfy the Discovery Inquiry requirement. An alternative Discovery Program Inquiry course or Inquiry Attributes course is required. Permission is required to take ME 477 in place of ME 441. CHEM 405 Chemical Principles for Engineers or CHEM 403 General Chemistry I and CHEM 404 General Chemistry II, or PHYS 407 General Physics I satisfies the Discovery Physical Science (with lab) category. MATH 525 Linearity I and MATH 526 Linearity II also counts as a 600 level technical elective course typically completed in the senior year of the program. Permission is required to take Linearity I and II. These courses (ME 755-756 and TECH 797) satisfy the Discovery Senior Capstone Experience category. Students should consult with their academic advisor before selecting technical electives outside of mechanical/ocean engineering. With departmental approval, the two technical electives outside of mechanical/ocean engineering can be used for studying a focused area/minor, with the restrictions that only one course can be at the 400 or 500 level and the focused area/minor must be in a bachelor's degree program. As is the case across the University, all students are required to take an Inquiry course or an Inquiry Attributes course during their first two years. This can be satisfied with ME 441 Introduction to Engineering Design and Solid Modeling. Students who are exempt from ME 441 Introduction to Engineering Design and Solid Modeling due to prior engineering design and computer-aided design (CAD) experience must select an Inquiry 444 course or a course with an Inquiry Attribute and enroll in ME 477 Introduction to Solid Modeling. The Discovery Environment, Technology, and Society category requirement is met upon receiving a B.S. degree in mechanical engineering. The Discovery Social Science category must be satisfied with either ECON 402 Principles of Economics (Micro) or EREC 411 Environmental and Resource Economics Perspectives. The Discovery senior capstone experience is satisfied with either ME 755 Senior Design Project I and ME 756 Senior Design Project II or TECH 797 Undergraduate Ocean Research Project. In order to graduate with a mechanical engineering B.S. degree, students must have at least a 2.0 grade-point average in all engineering and science courses, including required technical electives, normally taken as department requirements after the start of the junior year as defined in the degree plan below. Predictor courses: To enter the sophomore year, students must achieve a greater than (but not equal to) 2.00 GPA in PHYS 407 General Physics I and MATH 426 Calculus II with no grade below a C.
To enter the junior year, students must achieve a minimum GPA of 2.00 in ME 525 Statics, ME 526 Mechanics of Materials, and ME 503 Thermodynamics with only one C- grade allowed and no grades below C-. Students are allowed two repeats of these predictor courses to achieve the predictor rule requirements before being removed from the Program. This can be a single class repeated twice or two classes repeated once. Students are also removed from the program if if they obtain a semester GPA below 1.5 three times. Students may petition to be reinstated after one year out of the program. CEPS Students: To transfer into the freshman or sophomore year, students must earn a combined GPA greater than (but not equal to) 2.00 in PHYS 407 General Physics I and MATH 426 Calculus II with no grade below a C in these two courses. If students are enrolled in ME 525 Statics (or CEE 500 Statics for Civil Engineers), ME 526 Mechanics of Materials (or CEE 501 Strength of Materials), or ME 503 Thermodynamics, they must earn a combined GPA of 2.00 with no grade below a C- in two of these courses with only one C- grade allowed to transfer into Mechanical Engineering. Note: A combined GPA greater than (but not equal to) 2.00 in PHYS 407 General Physics I and MATH 426 Calculus II with no grade below a C is also required. Non-CEPS Students: To transfer into the Department of Mechanical Engineering from another college at UNH, students have to satisfy the CEPS college transfer policy as well as the Department of Mechanical Engineering transfer policies listed above according to their status. 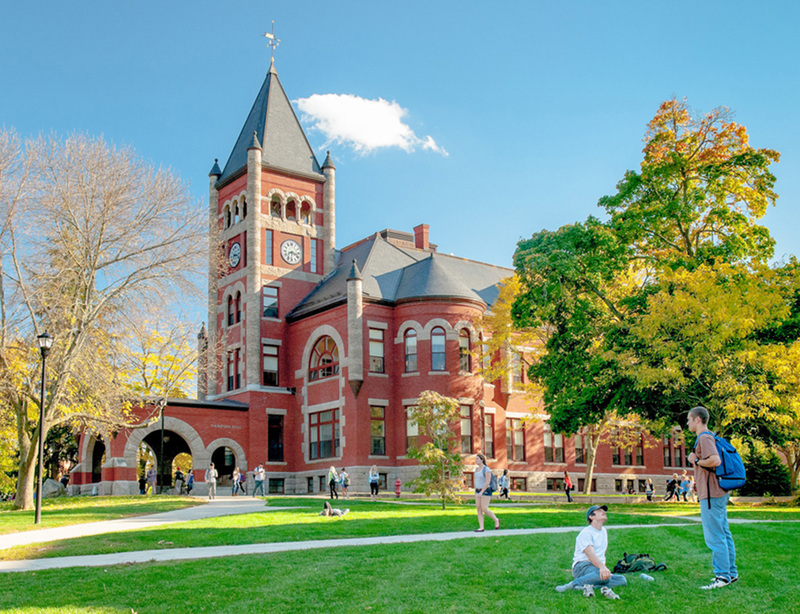 Students work with their academic advisor to plan a program that is based on the courses shown in the UNH undergraduate catalog applicable to year of entry.